Sometimes our Homecoming events bring successful alum, like Mara Brock Akil (’92) Kelly O’Donnell (’87) and Cody Keenan (’02), back to campus! It’s nice to connect with alums, but there are also fun events for students too! We have our Homecoming football game, a pep rally, a Food Truck Frenzy event and more! 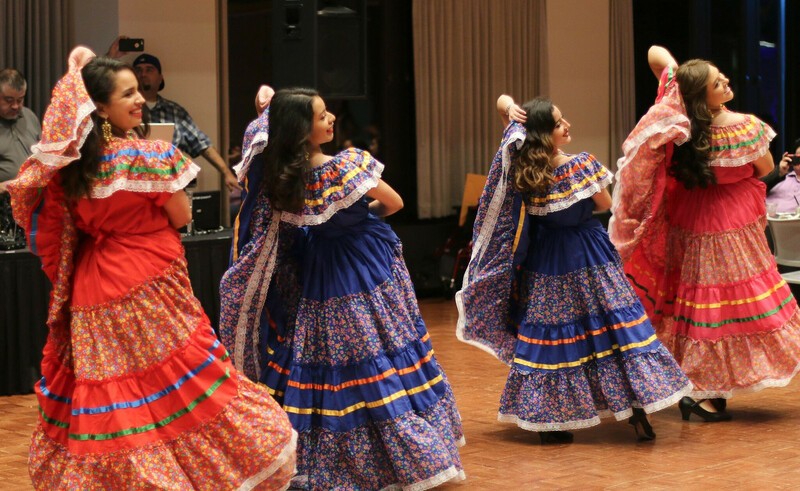 Latinx Heritage Month is actually celebrated in September, but since we start our classes in mid-September, the celebration continues through October. Festival LatiNU is the signature event hosted by Alianza (Latinx Student Alliance) and Multicultural Student Affairs. It’s full of dance and musical performances, speakers and delicious food! Hosted by the Northwestern Community Development Corps (NCDC), this event brings kids from the Evanston and Chicagoland area to trick-or-treat on our campus. Northwestern students pass out candy, do crafts and organize games for the kids. During my sophomore year, my sorority partnered with another sorority and we did an art project. You get to eat candy, dress up, see the younger kids dress up, and celebrate Halloween! If you watch “Jane the Virgin” or “Orange is the New Black,” then you know Diane Guerrero plays Lina and Maritza Ramos, respectively, on these shows. She’s also an advocate for immigration reform, and she spoke on campus Tuesday, Oct. 3. I had class that day, but I sprinted across campus as soon as I finished to see her. When you receive an email with the words “Trevor Noah” in the subject line, you open it because there might be a ticket order form for Medill students (#MedillPerks) to see Trevor Noah. A few days ago, this happened and I filled out the form. Hopefully, I’ll receive a ticket to see the host of “The Daily Show,” but even if I don’t, I’m sure there will be plenty of interesting speakers later this year.